WAEW MAYURA: "HONG NON KHON CHON" (Saha Kuang Heng records, late 70's early 80's) Is a wonderfull late 70’s luk thung recording, it’s quite in the same mood as last week with some deep and bitersweet wonderfull tropical songs influenced by some funky disco rythms. One of those tape you’ll listen again and again for sure! She killed herself at the age of 30. She left us a bunch of wonderfull songs filled up with her deep melancholic voice. 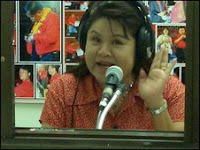 Note that few of her works have been re editied as cds. Thanks to Thani for the precious help! Ladies & gentlemen, after almost a year "flying around" we're finally arriving in Thailand! We'll spend the next month dancing on one of my main addictions: Luk Thung. Those who follow one of my favourite blog already know about all the great Thai music and I hope the others will enjoy this trip! 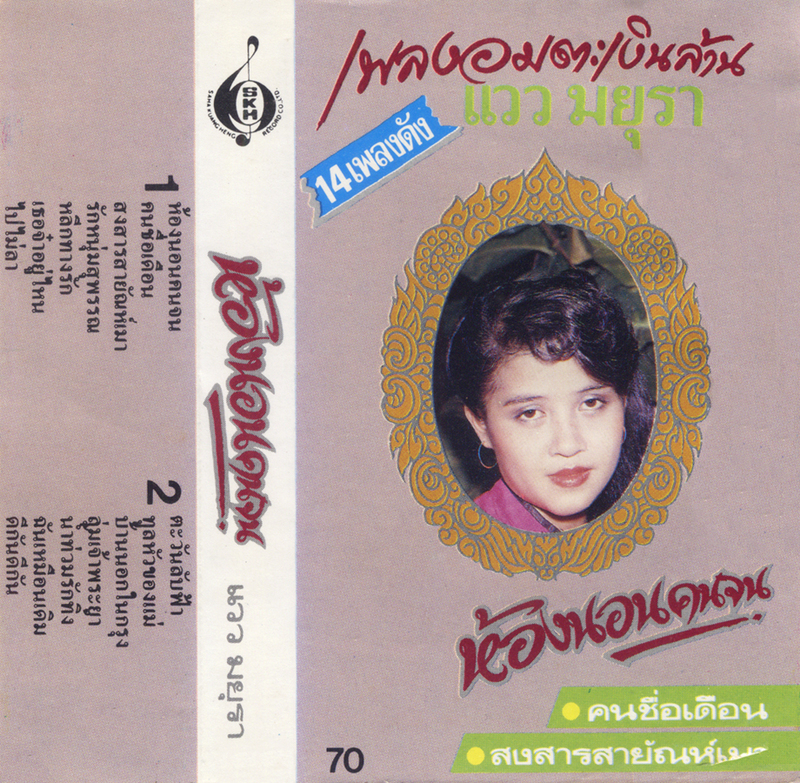 This week, we'll start with the singer who gave this place it's name, HONGTHONG DAO'UDON: BUA LUANG RO RAK (S Sound, S-2022) Is a great tape containing songs from late 70's early 80's, Miss Hongthong "from Udon thani" (one of the biggest cities of Isan, north east of thailand) gives us the best of her gorgeous voice on 12 great bittersweet luk thung songs with influences from disco, funk and also a little from traditional molam. 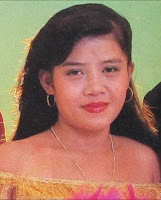 All has already been said about the life of Hongthong Dao'Udon from her early carreer start as a teenage Luk Thung star to the loss of her voice and finally her sentence to jail after some politic troubles. Well, today we got good news, she is now free and we're having some of her songs!!! work for this serie of luk thung tapes!